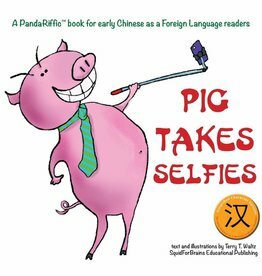 The funniest teaching materials Chinese for more success in your Chinese classes! Motivating stories and activities that enhance your students' fluency greatly. Enjoy your classes more and obtain better results via TPR Storytelling. Chinese reader for second year students. Love and rivalry in highschool: this classical story engages every reader right on, and makes you want more! Chinese reader for beginners. When your particular bucket is the trash can, getting through your to-dos and into the affections of the girl you like can be tough. Read more! Instruction guide for teachers of Chinese and other languages with special characteristics. Effective strategies and skills will help you make language easy for your students. 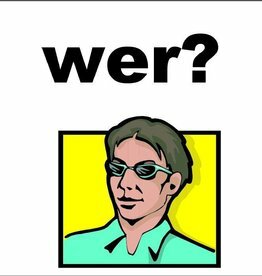 Fun question word posters for your language classes. Make asking questions easier and enhance comprehension by hanging these posters on your classroom wall! Free question word posters - Choose your language! The famous TPRS manual for language teachers. Want to know how to teach a foreign language though stories and interaction? Start now by reading this book! Chinese easy reader for absolute beginners. A romance in the Mandarin class helps two students to start speaking Mandarin with each other. With free audio files! 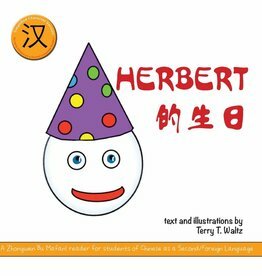 Chinese easy reader for upper grade elementary, middle school, and high school students who have taken approximately 100 hours of Chinese language instruction. Chinese easy reader for beginners. A short novel in simple Chinese: Characters and Pinyin, about friendship among different cultures. Read more and order online! Mandarin easy reader for absolute beginners. Two versions under one cover: Pinyin and Hanzi. Did you know that reading Mandarin could be so much fun? Order online now! 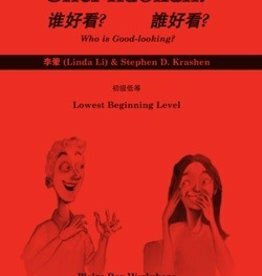 Charming Chinese easy reader for beginners. Harry and Min-Jee's parents are concerned about their friendship and decide to investigate. Chinese easy reader for beginners, suitable for first-semester students. Susan thinks her life is boring, but a surprising chance brings about a change in her family's life. Read more! A very simple Chines short story. Bob can't get his hands on tickets for his favorite concert. Can his friend help him? Chinese easy reader for absolute beginners. It's Herberts birthday and he looks forward tot the presents. But no one seems to understand his birthday wish list. Chinese easy reader for absolute beginners. Pig likes to take selfies, but is hindered by grumpy people. Will he manage to take the perfect selfie?